Food Rescue, Alleviate Hunger, Nutrition, Promote Public Health and Disease Prevention. 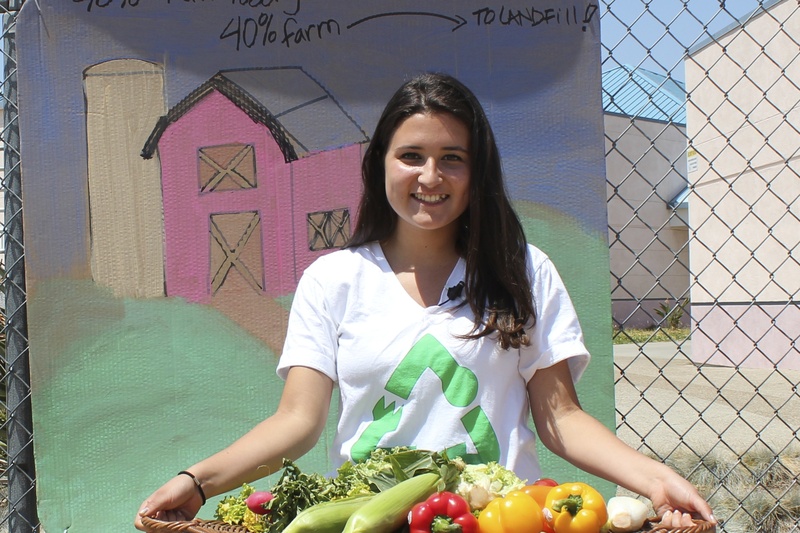 Inspired by her sister making a documentary about hunger, Gabrielle Posard created the “Donate Don’t Dump” logo to spread awareness about hunger and food waste. 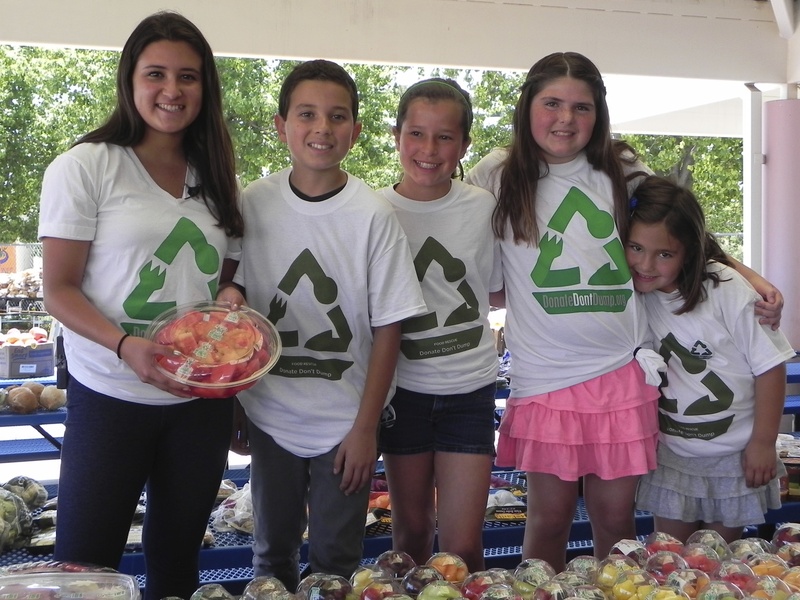 She started Donate Don’t Dump to change the paradigm of food waste and link concerns about the environment and sustainability to alleviating hunger all by creating a youth powered teen run non-profit. By encouraging grocers and food companies to donate their surplus or short dated food and spreading awareness, her team has been credited for increasing donations by over 650,000 pounds a year. In the US over 96 billion pounds of edible food end up in landfills, while 1 in 4 children in the US experience hunger. 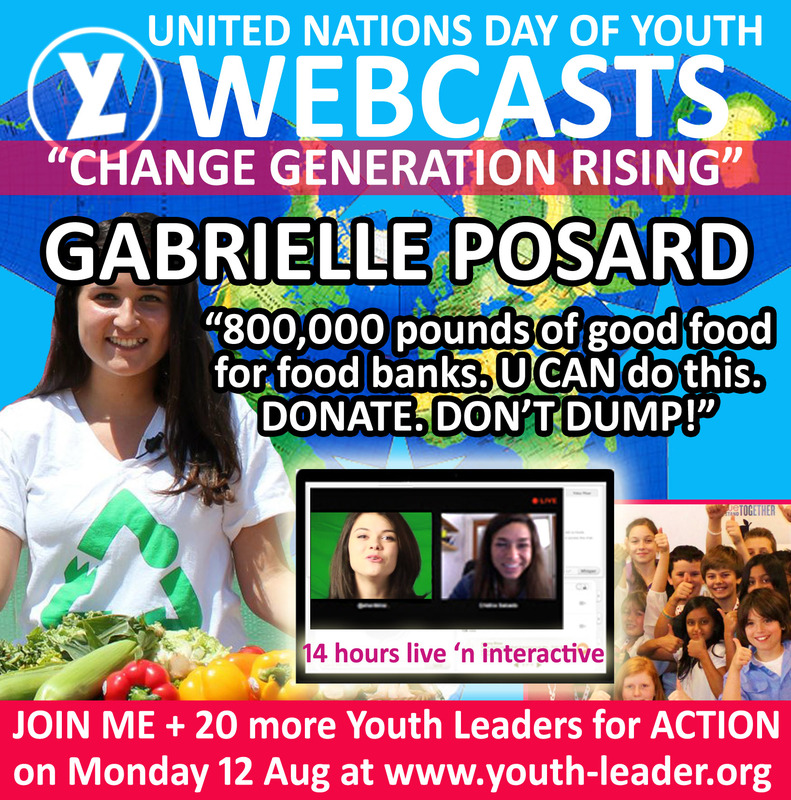 Gabrielle’s mission is to make food rescue as common as recycling. Companies that donate are protected from liability by a National Law, get tax benefits, reduce dumpster fees, and are just doing the right thing. She has been honored at the White House after winning the President’s Environmental Youth Award. 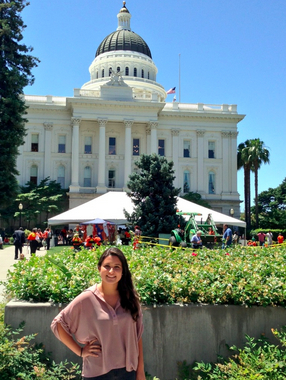 She advocates and lobbies in Sacramento for the environment, hungry families and promotes AB341, California’s Mandatory Recycling Law, and has worked to pass Zero Waste Ordinances. She is a contributing teen writer for the Huffington Post and been featured in PEOPLE Magazine. While producing a story for her broadcast journalism class, Camille Posard was shocked to learn that charitable organizations were needed to provide food for struggling active military families. To learn more she contacted the the Leichtag Family Foundation and a grant was awarded to fund the documentary, “One in Seven, The New Face of Hunger”. Camille is the writer of the award winning immunization documentary, “Invisible Threat“, that has inspired many teens to get involved in promoting public health and disease prevention. Her achievements include Student Emmy Award and Honor Society member at UCLA. Audrey is an honor student and Producer at Carlsbad High School Television, CHSTV. Trent Ryan was an important part of the making of “One in Seven, the New Face of Hunger.” In addition to his work on “One in Seven,” he also traveled to Europe to work on “We Must Remember” another CHSTVfilms project. Along with serving as IT Director for Donate Don’t Dump he is also the Owner and Operator of IceHostingSolutions.com . Ethan Posard is a sophomore in high school and the author of The Shots Book: A Little Brother’s Superhero Tale, and El Libro De Las Vacunas. He was featured in the documentary, Invisible Threat, where he explained his reasons for wanting to get immunized: in order to protect his twin cousins who were about to be born. With the help of grant awards from the American Academy of Pediatrics California Chapter, First Five California, and Rady Children’s Hospital, Ethan was able to launch a national herd immunity advocacy campaign, Twitter and YouTube Channel. Ethan is volunteering with the Florida Chapter of the American Academy of Pediatrics to create marketing materials based on his book characters. He is also the Co-creator and Chief Youth Advisor for Students Taking On Prevention (S.T.O.P. ), an advocacy program created by partners at the Florida Department of Health and PITCH. S.T.O.P. empowers youth to build healthier communities by working peer-to-peer to prevent disease, obesity, and bullying. 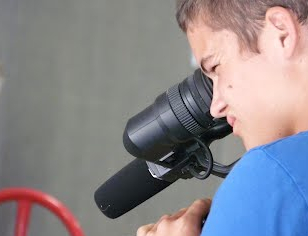 Mia is a photographer, videographer and broadcaster at Carlsbad High School Television, CHSTV. Tess Baker is a third year at the University of British Columbia studying applied biology and statistics. She is a Golden Key International Scholar and sits in the top 15% of her class at UBC. Tess is interested in environmental and conservation related issues and recently returned from India doing research in both of these areas. Tess is interested in potentially pursuing a career in medicine and is interested in how environmental issues impact human health. What states are you now active in, and how does one start a local action in their area?